Wild Duck is proud to present a wine dinner pairing with Leeuwin Estate. 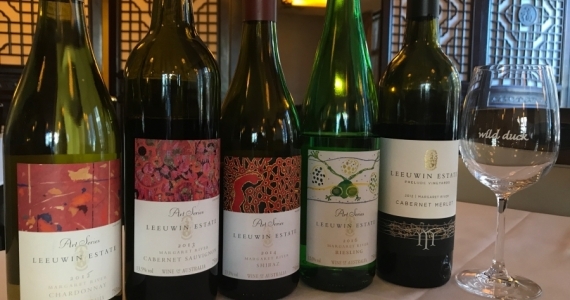 Leeuwin is one of Australia’s finest wineries that consistently receive acclaim from around the world. It’s been well over 10 years since Leeuwin has done a wine dinner in Canberra and this is one you will not want miss. Meet and dine with Paul Atwood, Leeuwin’s chief winemaker. He proudly presents the Leeuwin Art Series collection expertly matched with wonderful dishes from the Wild Duck head chef.